The 374th Airlift Wing Safety Office held a safety week from March 2 to 6. 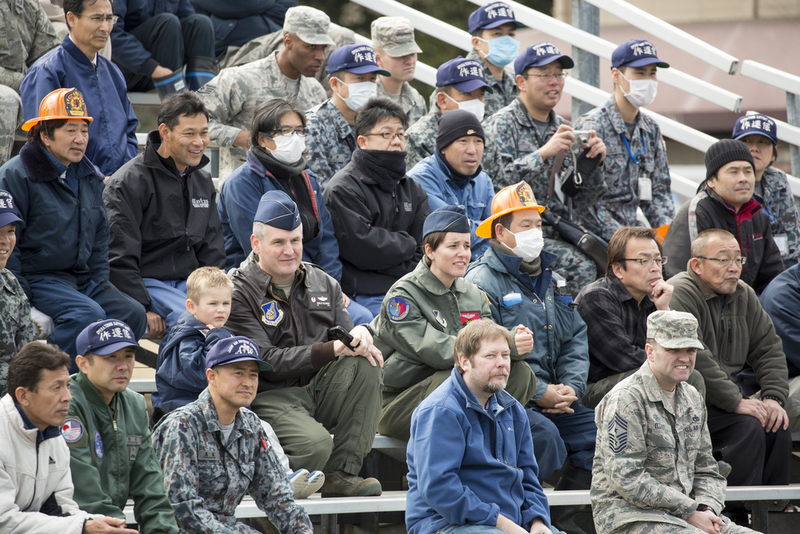 The safety week was designed to provide Yokota residents with various events such as motorcycle/vehicle safety training, child safety training, safety at home/work training and a safety festival to improve personal and wingmen safety. During the safety festival on March 6, the wing safety office hosted a Tokyo Metropolitan Police motorcycle unit demonstration, traffic safety demonstration, earthquake and smoke house, firefighting experience, fire ladder trucks experience, 374th Security Forces Squadron patrol vehicle ride and seatbelt simulator.